Stephan Bodzin has been a hugely influential figure within the global techno scene for years. The reason the German has endured where many had fallen by the wayside is because of his devotion to authenticity. Without it, everything would appear to be nothing more than a hollow shell, says the son of an experimental musician who is now a revered talent in his own right. After starting out by composing music for several prestigious European theatres, Stephan Bodzin soon fell in love with nocturnal club sounds and began producing his own brand of techno. He impressed right from the off and has gone on to work with Oliver Huntemann under myriad aliases including Rekorder or with Marc Romboy including on albums like Luna and more recently Kerberos & Styx in 2014. As a solo producer Stephan Bodzin have defined the modern techno scene and has amassed an enviable discography that takes in established labels. Throughout my releases and all my collaborations I managed to let my ideas flow freely and to develop my own style, Stephan Bodzin explains, and he proved that with 2007's debut album, Liebe Ist and the many other original productions that have followed, such as 2014's single Sungam', which sat at number four on the RA charts, and his massive remix of Super Flu's Jo Gurt in the same year. Stephan Bodzin productions are driving, hypnotic things with a very real and memorable sense of melody that sticks long in the mind. Of course, running his own Herzblut label has also defined his career since 2006, and as well as being a place for his own work, has also housed refreshing contemporary music from Dominik Eulberg, Max Cooper and Pig&Dan amongst many more. 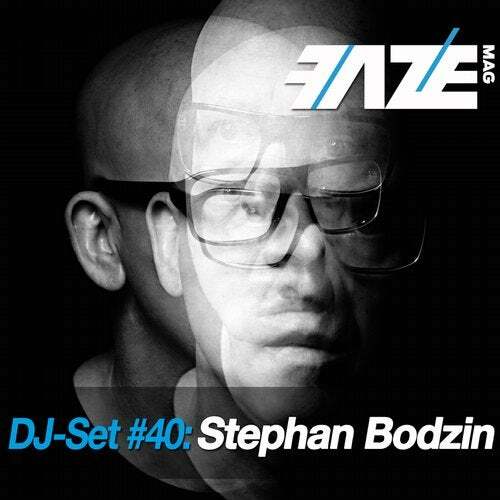 In the club, meanwhile, Stephan Bodzin is both a story telling DJ who really takes dance floors on a ride through his many musical influences, but is also an impressive live specialist who creates mesmerising, high impact soundtracks on the fly. Across all continents, there is barely a club or festival in the world worth its salt that he hasn't headlined at some point or other. 2015 will see this Bremen mastermind release his second full length, Powers of Ten, as well as a new single on DJ Tennis' and Tale of Us' taste making label Life & Death. The album is another magical piece of work that focuses on melody and rhythm, on fat bass and vivid sound design and is a truly captivating journey though the mind, music, body and soul of one of dance music's truly modern greats. It is just the latest chapter in what has been an exhilarating musical journey in the capable and creative hands of Stephan Bodzin. Affkt, Junior Gee, Johnny D, Joeski, Black Girl / White Girl, Oliver Knight, Gabriel & Castellon, Rob Kali, Outstrip, Juliet Sikora, Flo MRZDK, Re.you, Florian Busse, Veerus, King Brain, JUPITER PACE, Junior Jack, Tube & Berger, Pete Sabo, Davide Squillace, Agent!